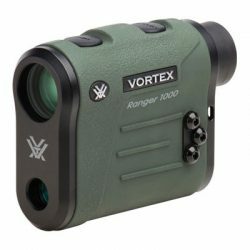 When every second counts, you can rely on the Vortex Laser Rangefinder 1000m to help you take aim and let you know the precise distance that you are from a target up to 1000 yards away. At the same time, the waterproof rangefinder provides 6-power magnification to help you isolate your target on the horizon. 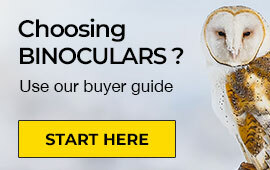 This way, there is no need to move between binoculars and your rangefinder in the field. The optical device has a tripod socket included in its design for your convenience. 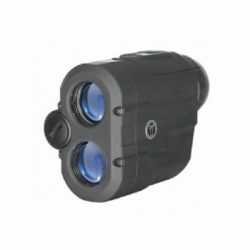 The Yukon LSR-1000 Laser Rangefinder is a must-have device in your hunting gear and will allow you to accurately judge how far you are from your target. Not just for sportsmen, the rangefinder can also be used on the golf course or by nature lovers who want to take their viewing to the next level. Rangefinders and range finding binoculars are used to calculate the distance from you to your target. The most common type of rangefinders are laser range finders which are often used for activities such as hunting, archery and shooting. The range finder models above utilise laser technology to precisely measure line-of-sight distance to your subject.